No Dues: The Hot Heads Swap Meet is provided as a free service to our friends, customers and club members. Ads are for hemi related buy, sell or trade items. Commercial ads are not welcome. No links, please. Full name and return e-mail address or phone number required. Let's get to know each other. Ads run for 1 month so please don't re-run ads until they expire. THANKS FOR HELPING TO KEEP THE Fire Power LIT ! Have a question or Hemi info to share? 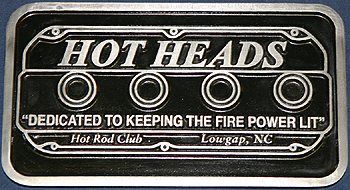 Please visit the Hot Heads forum! Webmaster's Note: The latest reported e-mail addresses of those scammers we keep hearing about are micheal4davidson@gmail.com, j.romerospares@gmail.com, Lucaskaziska28@gmail.com, bruces22luv@gmail.com, jamenry414@gmail.com, marc4bowman@gmail.com, grizcollins@gmail.com, penny_johnson002@yahoo.com, kelvin152201@gmail.com, thomasfreemanpartsoutlet@gmail.com, miowilfred@gmail.com, aruthltd@gmail.com, james152201@gmail.com, john4mcelwee@gmail.com, nelsonmedlin@hotmail.com, sbx19600@gmail.com, michealpett121@gmail.com, lennygold013@gmail.com, thewallfamilytree@hotmail.com, Tomryan6473@gmail.com, tomr6473@gmail.com, jr674620@gmail.com, tmwalliedc@gmail.com, Phone (409) 276-4197, chris4blake1968@gmail.com, dd6557680@gmail.com, kramerjunks@gmail.com, 89786ckh@gmail.com, morgansgarage75@gmail.com, lashanda4blake@gmail.com, rollann1000@outlook.com, jeffnlorraine@gmail.com, gulleycarons@gmail.com, kate4kt22@yahoo.com, brianmarvin949@gmail.com, harrison42blake@gmail.com, michaelglazeroffice@gmail.com, henryjit949@gmail.com, hapanniegue@gmail.com, livingwordglobal10@gmail.com, jeffpenavail@gmail.com, don.infofamilyamusement@gmail.com, skidlid1320@gmail.com, james4mart@gmail.com, jeffturner180@gmail.com, t.roberts011@hotmail.com, roland_smith2@aol.com. You know what to do (ignore them). 392 READY TO GO ON LIVE ENGINE STAND. CROWER ROLLER CAM. LOTS OF GOOD HOT HEADS PARTS. PLS CALL FOR MORE INFO. 941-270-2697. $7500 CASH PICK UP. 4 BRL INTAKE FOR 330/341 DESOTO. ALL APPEARS OK EXCEPT THERMO HOUSING IS NOT GOOD. NICE LOW PROFILE COMPARED TO AFTER MARKET INTAKE. $250 PLUS SHIPPING. ANY QUESTIONS PLS CALL 941-270-2697. I HAVE LOTS OF CHRYSLER PARTS, BUT VERY LITTLE AFTER MARKET STUFF. Description: I need 315 Hemi heads. I currently have the Poly heads but want to switch over to Hemi. 392 Hemi A-1 block, never bored and should clan at .30. Four bolt mains. Crank is standard/standard and is within tolerance to run as is. NOS rod and main bearings. Bare heads and rockers. High performance head gaskets and cam bearings. See list. $3500. Also have a 392 short block assembly just finished and see second list for details. Photos available. Can put on a pallet and have ready for your shipper. Going to Kansas City in two weeks and could deliver on the way. 208 290 5101 for more details. Description: For Sale Early Hemi Parts, cleaning out the garage, and have quite a few early Hemi parts left over from some projects a few years ago. Parts include one oil pan (pre-354), one early cam (core), one 354 cam (core), one 392 hydraulic cam (nice condition), one flywheel (13-1/8" diameter, 145 teeth), head and engine bolts, aluminum adapters for SBC water pump, 392 hydraulic lifters, Federal Mogul engine bearings (new), 2131SB (3), 2132SB (1), 2143SB (1), dual point distributor IBB4105B Dist 3P006293, Part #1634193, 3 sets used 354 pistons, 11" clutch pressure plate and disc, 354 gasket set, 354/392 gasket set, baby Hemi head gaskets, 392 header flanges (cut from flat steel), 392 header flanges (cut from a set of headers), 8 new 354 cast pistons with marks on 3 skirt edges, 6 392 +.060 used pistons. would like to sell everything as one bundle, make a reasonable offer, and it's yours. must pick up in Columbus, Ohio. if you'd like photos of anything, let me know and I'll send you a photo. contact me at 614-354-4988 evenings. Thanks for looking! Description: I have the following items from hot heads. Never installed and original packaging. 392 CRANK BEAD BLASTED THEN TURNED 20/20. WILL TAKE $800 PLUS SHIPPING. ANY QUESTIONS CALL 941-270-2697. I HAVE LOTS OF ORIGINAL PARTS GIVE ME A CALL I MIGHT HAVE WHAT U NEED. MANY HEMI PARTS V COVERS, ROCKERS, CAMS, CAM PLATES, 392 PISTONS, HEADS, ECT. PLS CALL 941-270-2697 LET ME KNOW WHAT U NEED. I MAY HAVE IT OR KNOW SOMEONE WHO DOES. AFTER MARKET STEEL OIL PAN WITH BAFFLE. HAS BEEN REPAIRED ON SIDE. PROBABLEY 9 QRT CAPACITY. WILL TAKE $275. ANY QUESTIONS PLS CALL 941-270-2697. 325 Dodge Hemi Block D500 - 4792, Hot Tanked & Mag, Need to be bored .040 over. asking $ 425.00, can ship with Fastenal. 1957 392 Hemi original dual quad intake and carb set-up from a 1957 Chrysler 300C. Casting number of manifold is 1733477, dated 4-23-1957. The manifold is in great shape, no cracks, welds or any work done. Holes at carb base are nice and sharp. The carbs look as though they have never been rebuilt. The plastic choke cover has a piece broken off of it as can be seen in photos. Both carbs have the number 1446 on bottom. There still is one old air filter gasket around one carb. I never did a thing with this set-up. Been wrapped up and covered for 27 years now. I sold my 392 Hemi about 10 years ago. The pictures can show everything. There are no tags to the carbs, but I predict that they are WCFB 2534S and 2535s compared to what other 300C or D's had back in 1957 or 1958. The spring actions of carbs works fine, I don't see any springs broken and the throttle valves are not damaged and also move freely. If I had a 392 hemi, I would get these dipped/stripped and rebuild myself to put on engine. Price $1500. Any other questions, please ask. Archaeoro@aol.com or 248-797-9456 anytime. Up for sale are a set of JE pistons. They are believed to be Jahn's Engineering, before JE Pistons came to be. Stamped with "154", here's what I have on them: 4.050 dia., 0.984 pin., 1.870 compression height. $200 plus shipping. Nice pair of Fire Flite covers, they are missing the six clips under the wire covers. $200 plus shipping. Description: I have a set of 1958 Chrysler Saratoga Poly heads, rocker arms and valve covers. Removed off a 354 engine, $200. I also have a clutch fan, air compressor, $75 each. I have a 4 bbl. manifold and carb and air cleaner, plus the complete frame with front and rear end parts if you are building one, Call me for more info. Bob at 1-719-372-6274 Shipping is extra. Thanks all at Hot Heads. For Sale 1957 Chrysler 392 Hemi. Not your ordinary 392 Hemi. This engine however is a One of a kind and only such first gen. 392 known to exist. For starters both sides of the block have the word Sample cast into the block. On the rear of the block it has both The Canadian and Detroit I.D. letters cast in. The engine has been professionally rebuilt and restored to the highest standards. It can be installed and run but would be better suited to be the center piece of your beautiful collection or personal museum. Will only appreciate in value. Priced at a very reasonable $20,000 or make offer. Known history goes back 50 years. Phone inquiries only. Please, no texts or emails. Good luck and thanks to all. Phone 618-254-8138 ask for Tim. Description: Wanted 4 ea. 354 stock pistons in solid usable shape or a good set of 1955 331 pistons. Description: I have a list of MoPaR heads available. Just picked them up from a Machinist, All Magged for cracks, All are bare cores ready to build. Description: looking for an edelbrock X3 6x2 cross ram intake manifold for Chrysler 331 354 392. any condition with or without carbs. let me know what you've got and how much you want for it. thanks! I have a really nice set of "555" triple nickle 331 heads. New stainless 2 1/16" intakes, 1.800" exhausts. New exhaust seats. These have been cleaned, surfaced, magnufluxed, valve job done, ready for springs. $975 pr. 1 used Hilborn 175 fuel pump with bypass. Not flowed, I bought it and found out it is too large for my injected motor. $275. Like new polished alum FED fuel tank, perfect for a cackle car. Looks brand new. I bought it for my build, but car will be too narrow for me to use it, which is a shame, as it's beautiful. Please email for pics, measurements on tank, etc. Shipping on heads is really expensive. Thanks for the ad. 515-835-2214. Shipping weight 33 lbs. w/o pressure plate & clutch. Will include pressure plate & clutch for shipping cost only (additional 18 lbs). These parts are in excellent condition. Selling because changing to Chevy 700RH Trans. All these parts I used on a 1956-354. Call or text Rick at 918-277-4377. Buyer responsible for shipping. Description: I have a 1954 Dodge 331 Hemi truck engine for sale. It is apart for check out and will make a good builder. It's like a Chrysler short bell engine. It has intake to pan. No exhaust and dist. Will take $1000 plus the Shipping and handling. Thanks Hemi Bob at 1-719-372-6274. Other hemi parts also available. Call 904-249-2981 or e-mail robtbyrod@aol.com to inquire. Description: I need a good crank pulley for a 392. Tom at 850-556-9220. Description: Chrysler Hemi 331 354 392 Rocker Arm Set used in great condition. 100.00/ per set Plus shipping. Description: D500 rocker arms, covers, intakes, cranks, blocks. Can send pics to your email. Can ship via Fastenal in Niagara Falls or possibly deliver if am traveling your way. Thanks,Bob! I have several Marine parts for a boat set up if you want to put a your block in a boat, including all mounts, flywheel, pump, alternator brackets, for v-drive or trans. 700.00 plus shipping. Thanks again Bob!